Emory University coffee shop joins locations in Decatur, downtown. Ebrik Coffee Room is opening a third Atlanta-area location. The coffee shop on Friday, September 7, will open inside the Michael C. Carlos Museum on the Emory University campus, according to museum representatives. The location was first teased on the company's Instagram Tuesday. "Grateful to our 'customers' for their continued support and to the good folks at the [Michael C. Carlos Museum] for this amazing opportunity," according to the social media post. "Official opening coming real soon." 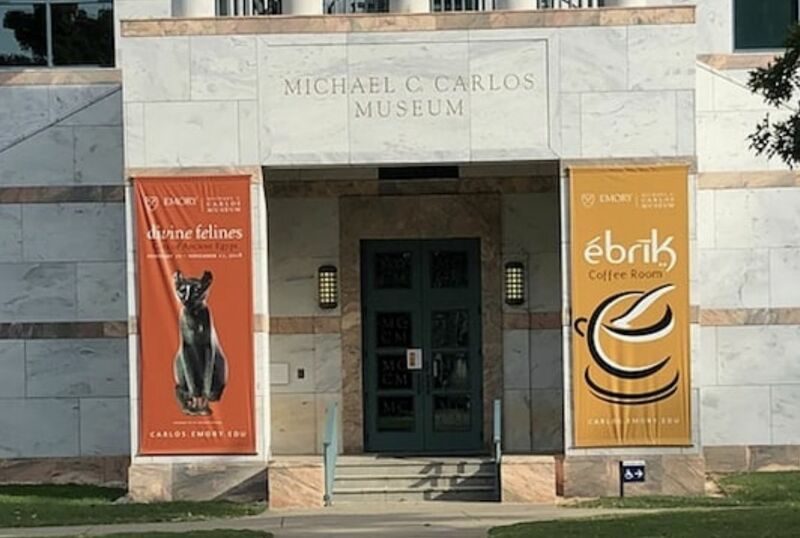 A photo of the museum's entrance with a banner for the coffee shop was included in the post. The new location joins outposts in Decatur and downtown, Atlanta. At one point Modera Sandy Springs was going to get an Ebrik but the deal reportedly fell through. Ebrik Co-Owner Abbas Arman has not responded to several attempts by What Now Atlanta this week for comment. string(41) "571 South Kilgo Cir NE, Atlanta, GA 30322"
Ebrik has a phenomenal coffee shop on Decatur St, in downtown, near GSU that I love! Ebrik is the real deal. Now scheduled to open Monday, September 10th, as delay due to final inspection by county.